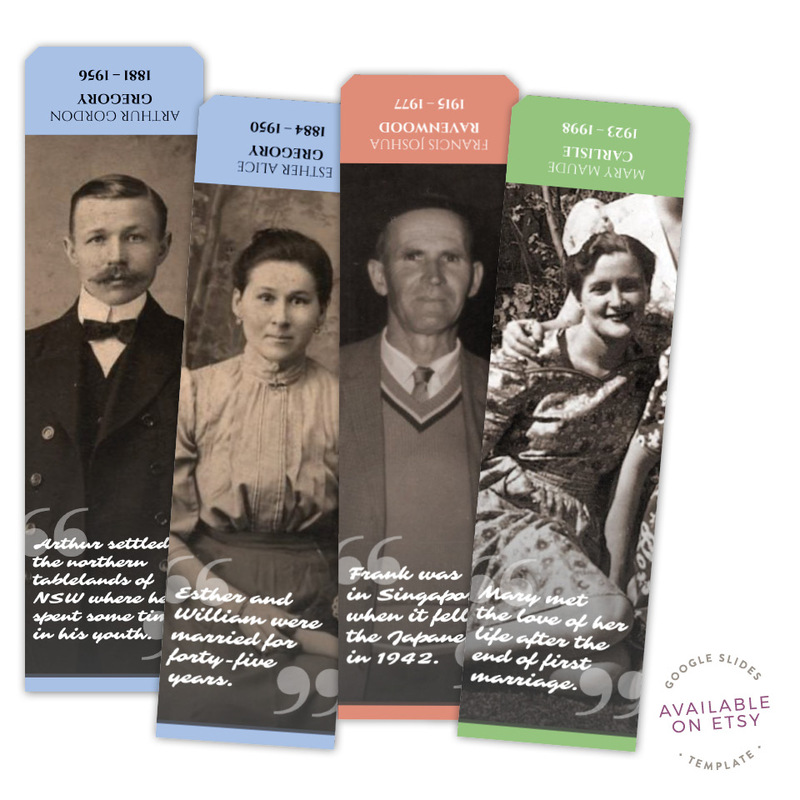 Create one-of-a-kind bookmarks using your genealogy research and ancestor photos. 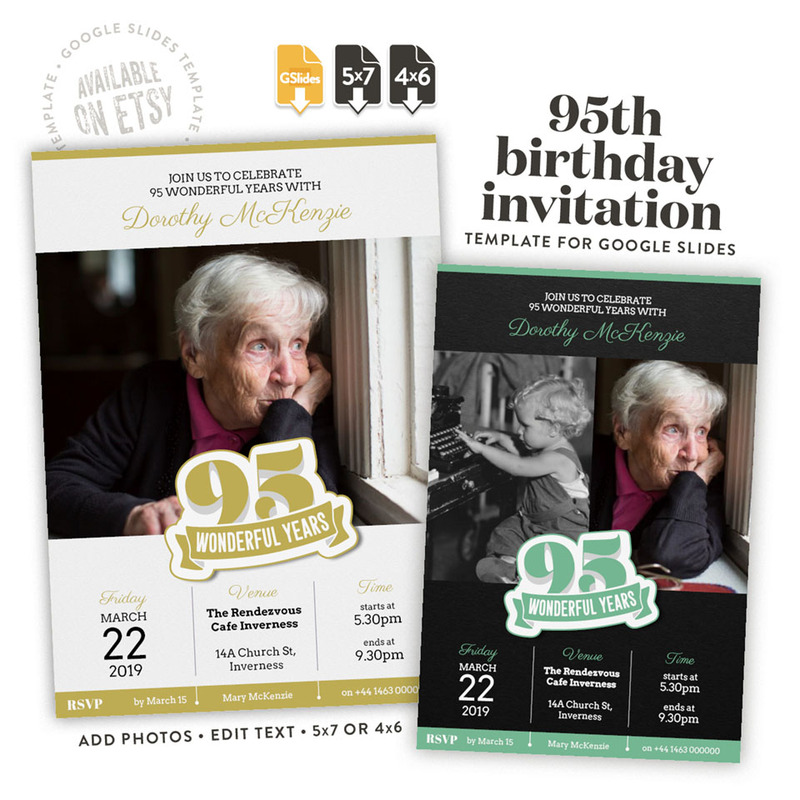 A two-sided design these are a perfect family reunion keepsake, a gift for mom, dad or any relative, or a treasure to keep for yourself. 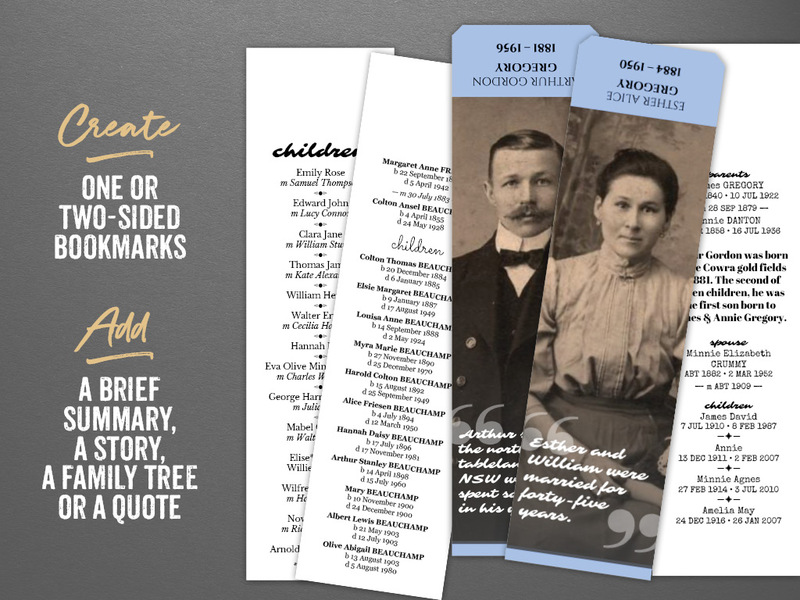 Make a collectible with the Folded Ancestor Bookmark template for Google Slides. 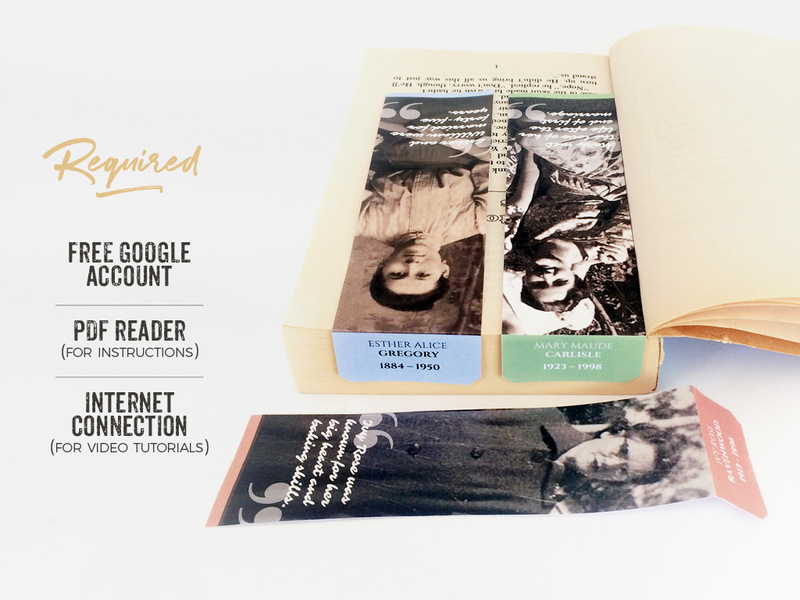 This bookmark design includes a folded tab to sit over the top of the page. 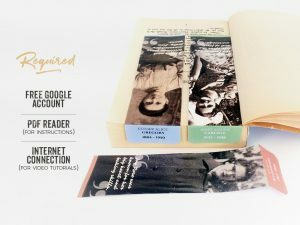 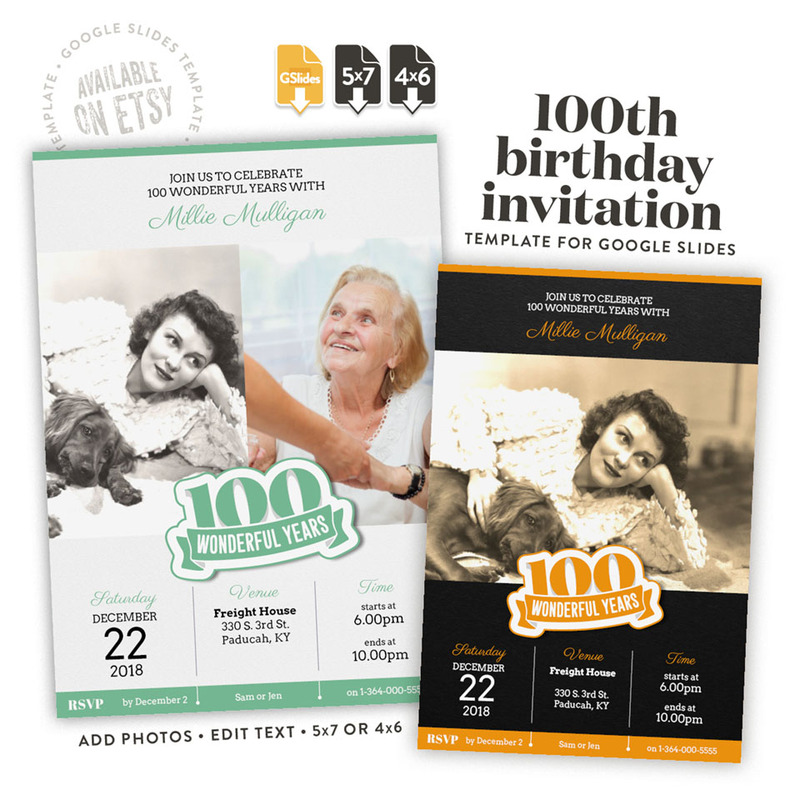 Add a photo on one side and family tree or story on the reverse. 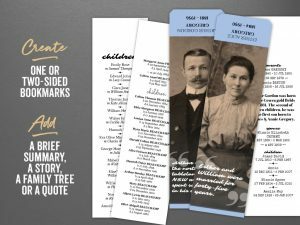 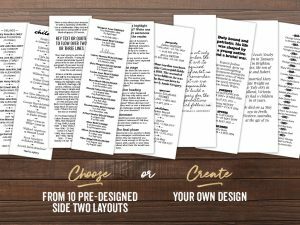 Ten pre-designed family tree and story layouts for the back of the bookmarks are included to get you started. 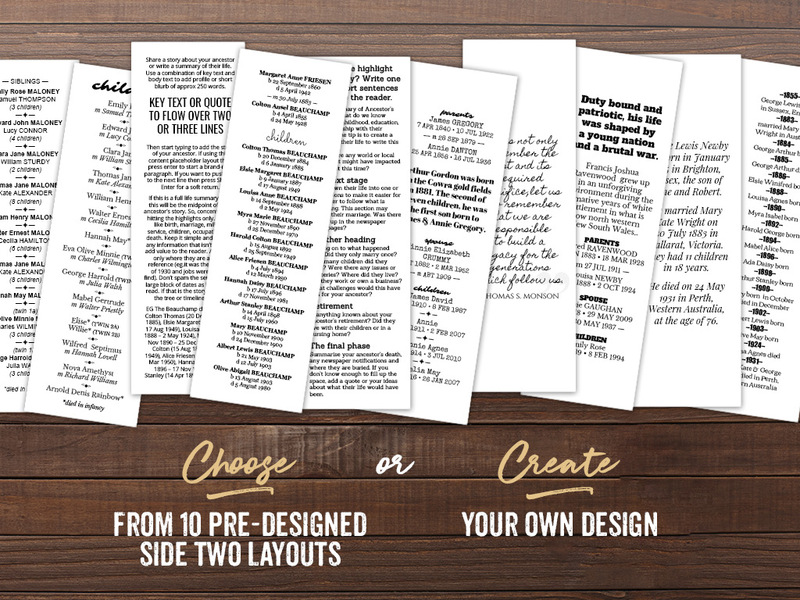 Alternatively, you may prefer to create a design of your own. 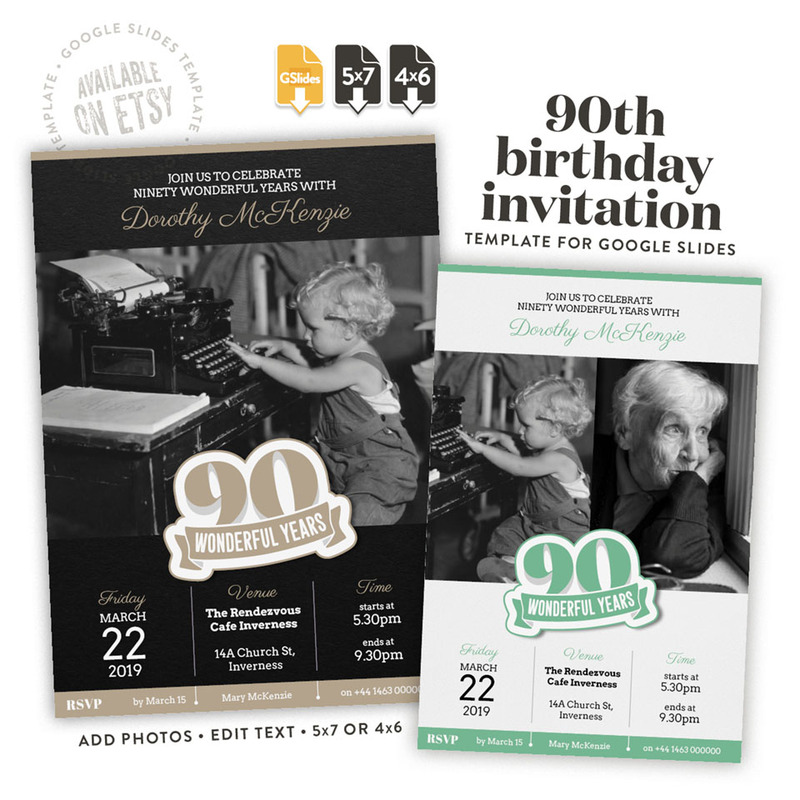 When trimmed to size, each bookmark will be 50mm wide x 155mm high (plus 25mm folded tab, so the unfolded size is 180mm high).